A most desirable Grade II listed traditional and historic detached period farmhouse with 1703 date stone to rear porch, situated in a private rural position offering high quality fixtures and fittings, with stone mullion windows, traditional timber beamed ceilings and roof trusses. The mature well planned gardens benefit from outstanding views of the ornamental Japanese pond , timber garden cottage and views of countryside beyond. 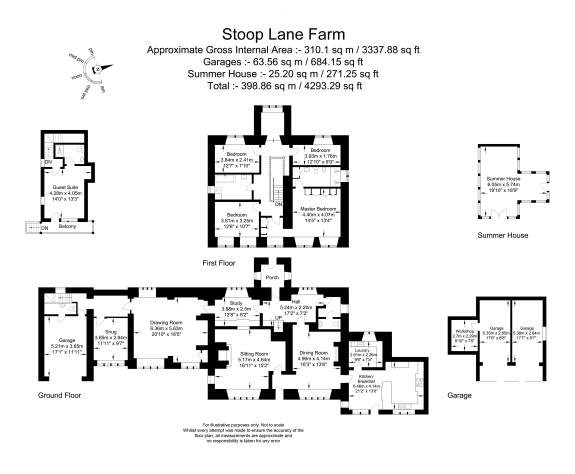 Stoop Lane Farm is within easy driving distance of Clitheroe, the nearest town and its facilities, and also easily accessible to both Manchester and Preston to the south and west and the Yorkshire Dales to the North. Solid oak boarded flooring, radiator in cover, traditional timber boarded entrance door with bulls eye peep light. Traditional dressed stone Adam style carved fireplace with raised stone flag hearth with open grate. Solid oak boarded floor, oak fitted window seat, original oak timber ceilings and beams. Sealed double-glazed leaded stone mullion window to front and inner gable. Built-in technology cupboard and twin radiators with covers. Fitted spotlighting and wall lights, lamp sockets on dimmer. Solid oak boarded floor, dressed stone with stone slate hearth fireplace with timber beamed mantel on stone corpuls. Original oak timber ceilings and radiator in cover. Sealed unit leaded double-glazed stone mullion window with oak window seat. Oak boarded floor and timber beamed ceilings. Leaded and original stone mullion window to rear elevation. Radiator in cover. Original oak pegged doorway, oak paneled wall, oak boarded floor, radiator in cover and sealed unit double-glazed leaded window to gable elevation. Oak board floor, ’Roca’ wash hand basin with granite surround and mixer tap and under sink storage. Half timbered wall, oak boarded floor, low-level WC, low-voltage spotlighting. Original entrance porch with traditional timber boarded entrance door, leaded windows to either gable and fitted cupboards. Oak boarded floor, leaded and original stone mullion window to rear elevation with oak window bottom and radiator in cover. Range of limed oak office furniture and storage. Low-voltage spotlighting. Twin sealed unit double-glazed leaded stone mullion windows to front elevation with oak window seats. Under seat radiators with covers. Leaded timber window to rear elevation and two further radiators with covers to rear elevation. Lamp sockets on dimmers. Beamed ceiling and radiator in cover. Sealed unit double-glazed leaded stone mullion window with window seat with radiators below with covers. Timber beamed ceilings. Sealed unit double-glazed leaded stone mullion windows to front elevation and sealed unit double-glazed timber rear entrance door. Range of high quality fitted kitchen units with complimentary black granite work surfaces. Built-in “Lacanche” five-ring gas hob and stove with electric ovens. Built-in ‘Neff’ dishwasher. Belfast sink with mixer tap. Beamed ceilings to breakfast area, low-voltage spotlighting, stone flag floors and radiator in cover. Built-in microwave oven and larder fridge. Sealed unit double-glazed stone mullion leaded window to rear elevation, range of fitted base and wall units with complementary black granite work surfaces and Belfast sink with mixer tap and stone flag floors. Built-in fridge, plumbed for washing machine, built-in freezer and service cupboard. Low-voltage spotlighting. Large return landing with oak traditional balustrade with solid newel posts, handrail and spindles. Double panel central heating radiator and beamed ceiling. Twin sealed unit double-glazed leaded stone mullion windows to front elevation, built-in wardrobes and low voltage spotlighting. Wall-mounted decorative panel radiator. Comprising Jacuzzi double shower cubicle, low-level WC and bidet. Bracket wash hand basin with chrome fitments. Oak boarded floors, full travertine tiled walls, walnut fronted cupboards, chrome radiator towel rail and low-voltage spotlighting. Single panel central heating radiator and sealed unit double-glazed leaded stone mullion window to front elevation. Twin sealed unit double-glazed leaded windows to front elevation, single panel central heating radiator, beamed ceiling and low-voltage spotlighting. Sealed unit double-glazed leaded stone mullion window to rear elevation, single panel central heating radiator and low-voltage spotlighting. Sealed unit double-glazed leaded window to rear elevation, single panel central heating radiator and fitted cupboards. Containing three-piece suite comprising panel bath with shower over, wash hand basin in timber vanity, low-level WC, oak boarded floor, half ceramic tiled walls, gold finished radiator towel rail, beamed ceiling and low-voltage spotlighting. Original leaded five window with stone arch, fitted cupboards and single panel central heating radiator. Garaging with up and over door, twin oil fired heating boilers, WC and washbasin. Light, power and water installed. Timbered floor, single-glazed timber window to gable elevation, double-glazed leaded door and leaded stone mullion window with access onto stone balcony and double panel central heating radiator. Comprising fully tiled shower cubicle, pedestal wash hand basin, low-level WC, timber floor, chromed radiator towel rail and low-voltage spotlighting. Detached double timber garage with workshop. Stone slate roof. Superb detached double-glazed timber garden cottage with large open decking area for summer dining and barbeques. Superb ornamental gardens extending to approximately 1.5 acres with Japanese pond and timber bridge. Electrically operate double entrance gate with chipping driveway leading to large open parking area. 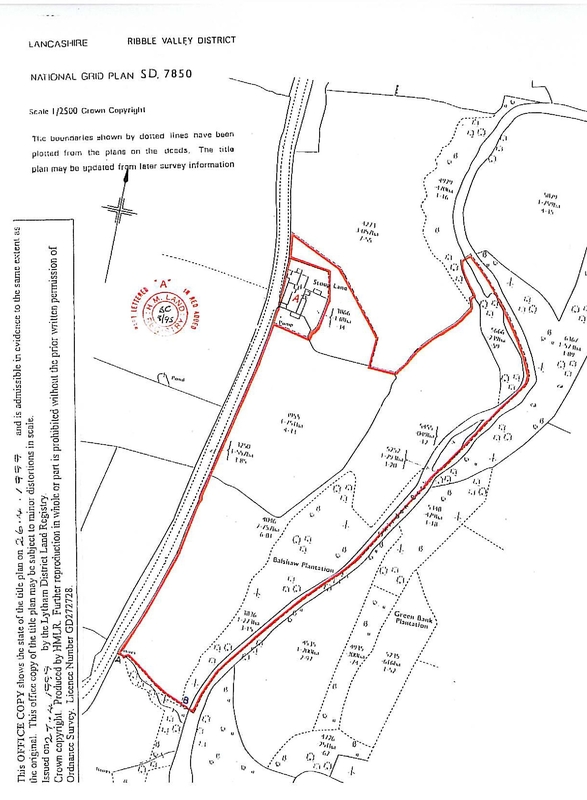 Extending to approximately 17 acres. Mains water, mains electricity, oil-fired central heating and propane gas for cooking, Septic Tank.